I may be too lazy to put up lights in my window, but I'm not too lazy to ride my bike around town looking at other people's lights. My bike is well lit. 3 pictures in this post. 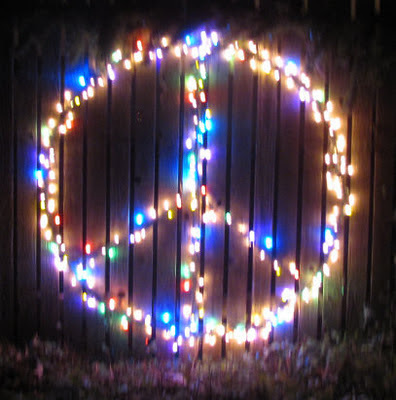 Peace sign in Christmas lights on a fence in residential area. 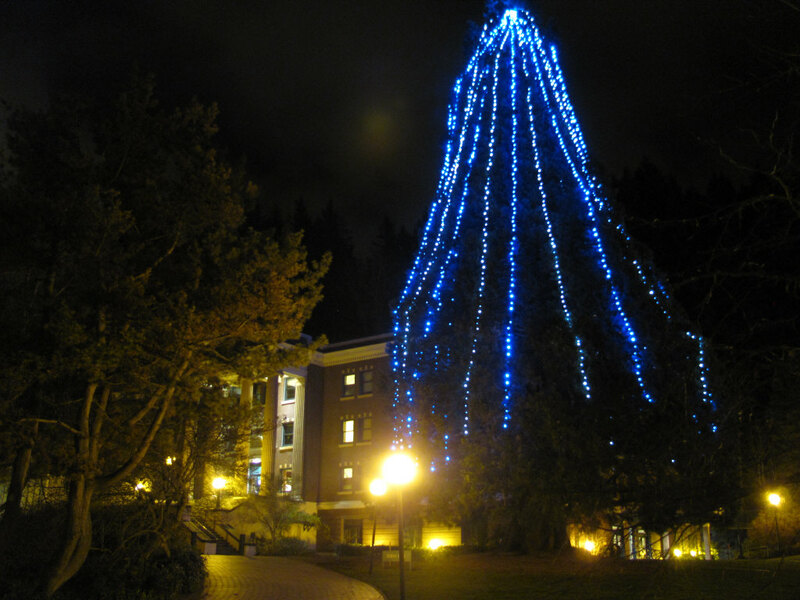 Christmas Tree, a sequoia, near Edens Hall at Western Washington University. Lit up each year. This year with both blue and white lights. 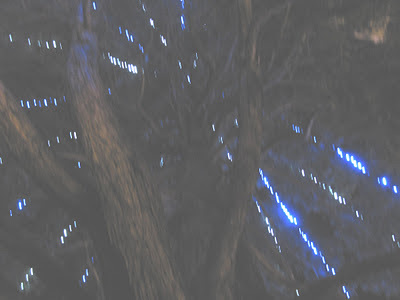 Under tree it looks like stars through the branches. Since I don't have kids, I don't really have to do Christmas shopping.